3-Piece Patterned Cover Set Just $22.99! Down From $100! You are here: Home / Great Deals / 3-Piece Patterned Cover Set Just $22.99! Down From $100! Until December 7 only! 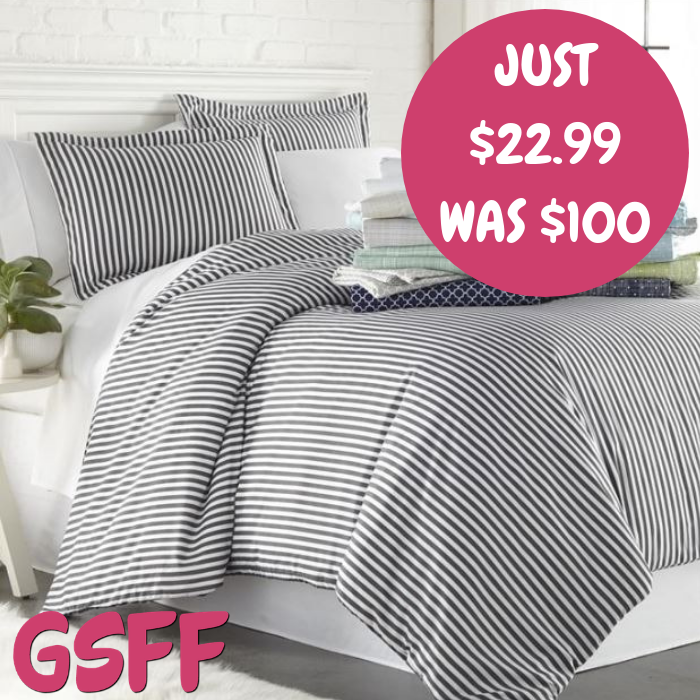 Jane has this 3-Piece Patterned Cover Set on sale for just $22.99 down from $99.99! Shipping is $4.95 for the first item and $3.95 for each additional item. Enhance and improve your bedroom decor with the all-new Cloud Soft Premium Printed 3-Piece duvet cover set. Tailored for a perfect fit and made with the finest imported microfiber yarns for ultimate comfort. This luxury duvet cover set is expertly stitched for durability to last a lifetime and raises the bar for coziness and elegance. Includes two matching pillow shams to bring elegance to any bedroom!